It is in all of us to defy expectations, to go into the world and be brave, and to want, to need, to hunger for adventures, to embrace change and chance and risk, so that we may breathe and know what it is to be free. Welcome to my adventurous world. I'm Olivia. Adventure Lover. Ultra Runner. Inspiration Artist. World Traveler. Physical Activity Researcher. Growing up in Orangeburg, SC, I spent lots of time outside exploring as a kid. Venturing through the woods between our house and that of my uncle's, for what seemed like miles (0.30 miles per googlemaps), was as common as riding a bike. My dad was an outdoorsman who further fostered my love of nature by exposing me to gardening, fishing, horseback riding, and hunting. We also watched sports together and he bought me my first tennis racket. I trace my passion for physical activity and nature back to my dad. But, my love for adventure and travel, beyond any doubt, came from my mom who still keeps a bag packed! So, I am the product of great parents who encouraged me to be active but to also to give back to the world. The purpose of this website is to provide a place for inspiration through my adventures and the adventures of other women and girls on their journey through this wonderful time called life. I hope that you will explore this site and join in the fun. Peace, Love, and Outside! Bottomline: My personal mission in life is to inspire women and girls to live active balanced lives. Scoping out the Pinhoti Trail at Bull's Gap, Talladega National Forest. 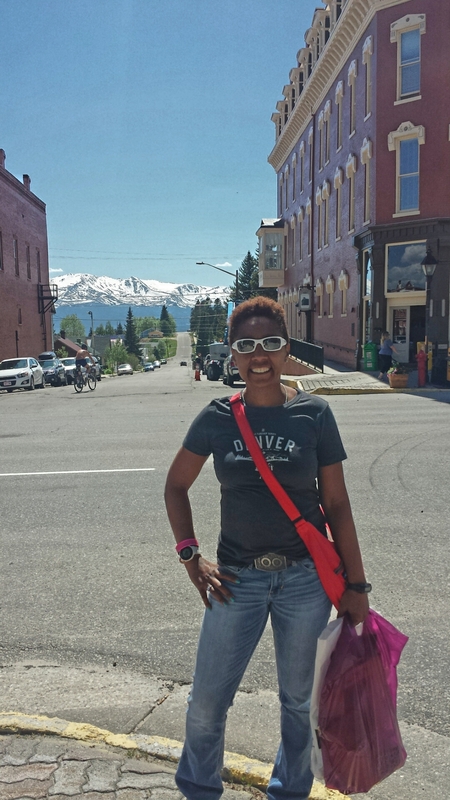 Getting ready for the Leadville Marathon in the Rocky Mountains of Leadville, CO.